Pension 45 is perfectly positioned in the centre of the old town, with good connections to the public transport network, enabling you to move within and around the city. The Renfe train station is only metres away from the accommodation. This is the ideal place from which to see the heart of Barcelona and benefit to the maximum from its culture, shopping and nightlife. Nearby are also the MACBA, Las Ramblas, Plaça Catalunya and the central University building. 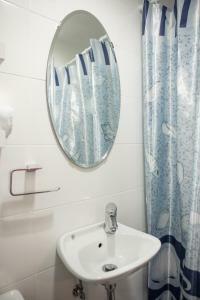 This simple, heated room offers free Wi-Fi, a fan and a private bathroom. This simple, heated room offers free Wi-Fi and a fan. 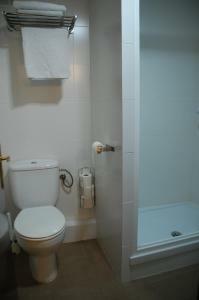 It has access to a shared bathroom. Rate: € 34.00 ... € 56.00; select dates below to get current rates. Rate: € 52.00 ... € 111.00; select dates below to get current rates. Rate: € 78.00 ... € 145.00; select dates below to get current rates.